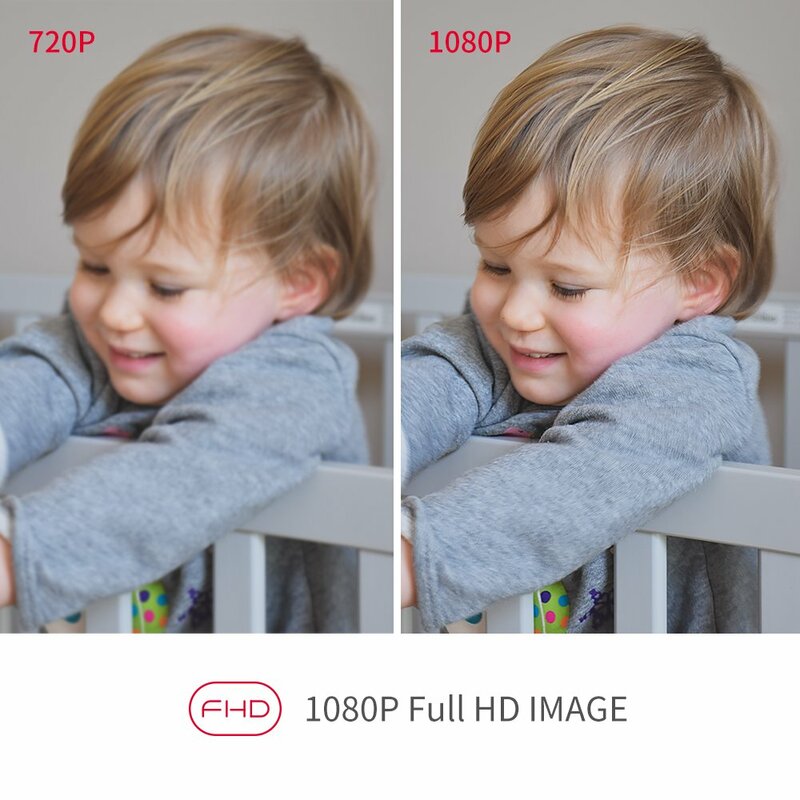 Full HD 1080P Resolution Image and almost Complete Viewing Coverage - 1080P resolution at 25fps. 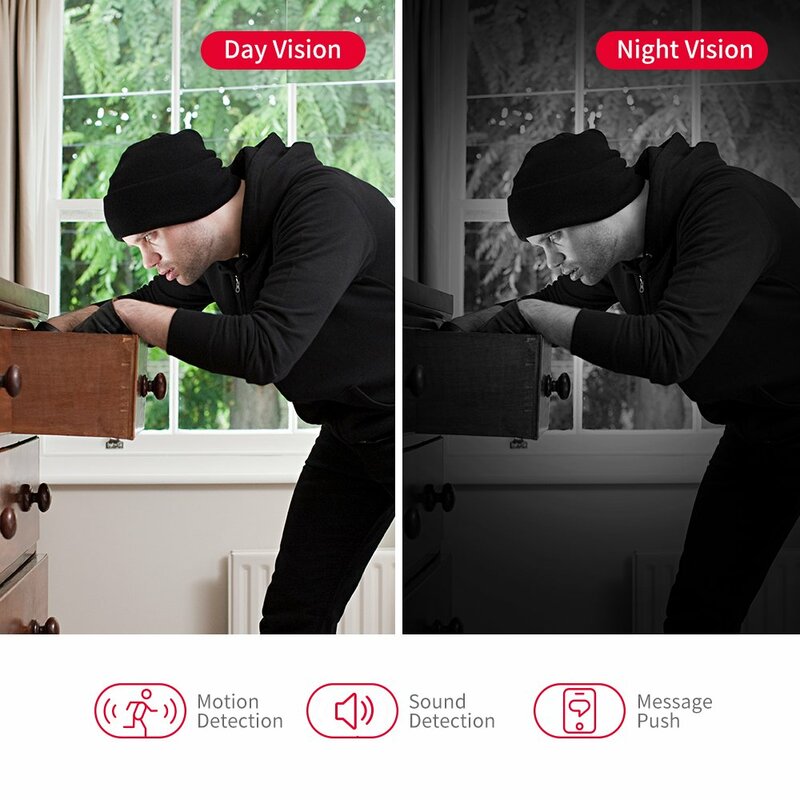 Night vision up to 26ft and 4x digital zoom to capture more details. 100° wide viewing angel lens with 350°horizontal & vertical 100° rotation range bring an almost complete coverage. Smart One-Button Sleeping Mode helps you get privacy protection when you active the function. 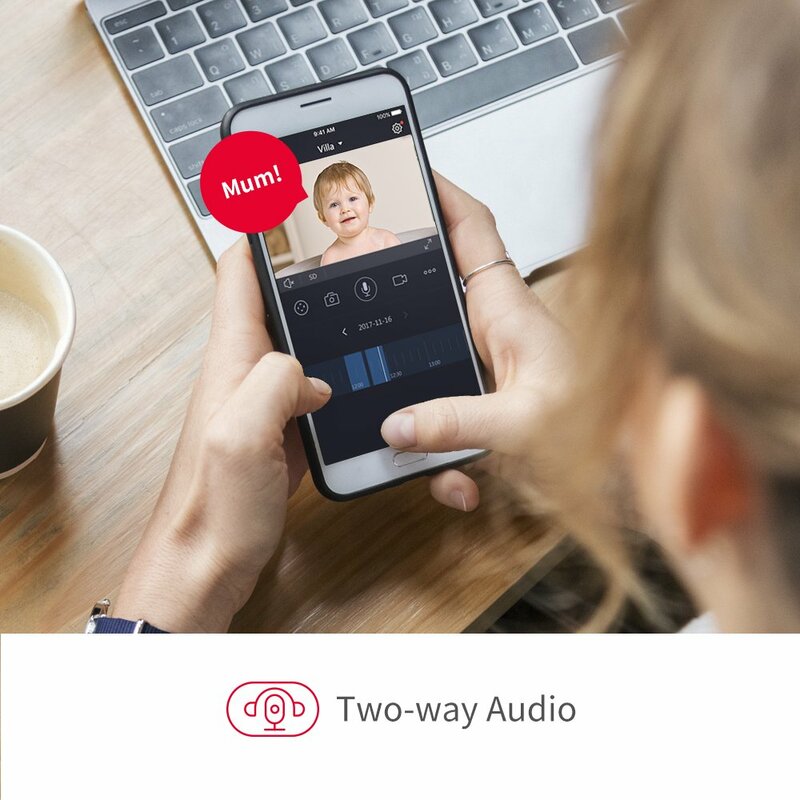 Listen and talk back synchronously like phone talk throughout the built-in mic and speaker on camera, not like other cameras you can only talk or speak either. Built-in background noise reducing chipset brings higher two-way talk quality.